If you're a fan of rowing, either the real thing or with cardio equipment that simulates the movement, consider canoeing and kayaking. Both activities provide a terrific upper-body workout. The differences between the boats and the paddles might lead you to prefer one over the other. With a canoe, you either sit on a seat or kneel. The boat is open and usually made for two or more people, so it's a good choice for family outings. To paddle, you typically alternate sides every few strokes. 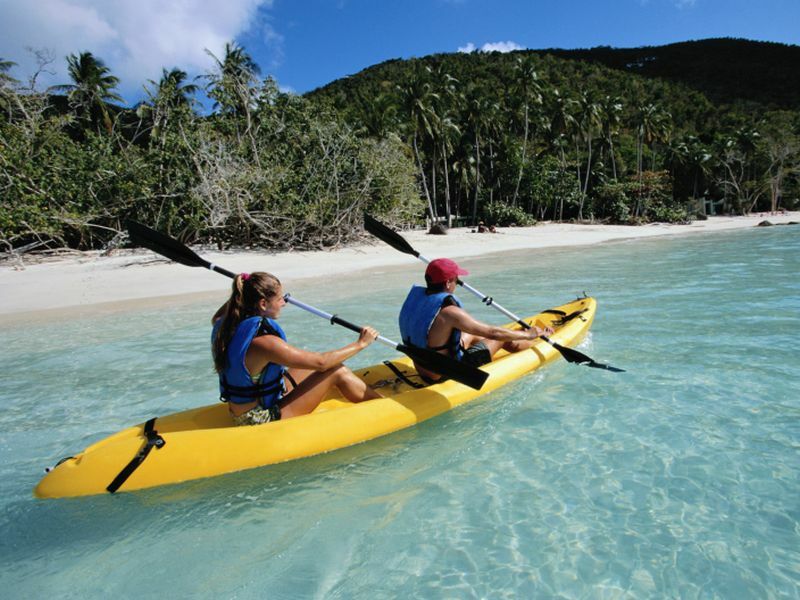 A kayak is a type of canoe, often made for one person. You sit on its floor with your legs stretched out and use a double-ended paddle for alternating strokes. For a completely different experience, there's stand-up paddleboarding, which delivers a full-body workout. You stand on the board at all times, great for improving balance and strengthening legs, and use a paddle to move through the water. You can do it on calm water if you don't want to ride waves. Of course, if you're a landlubber, there are many indoor activities you can move outside in warm weather. Besides walking and biking, yoga and tai chi are perfect for doing outdoors, and you need only a minimum of space.